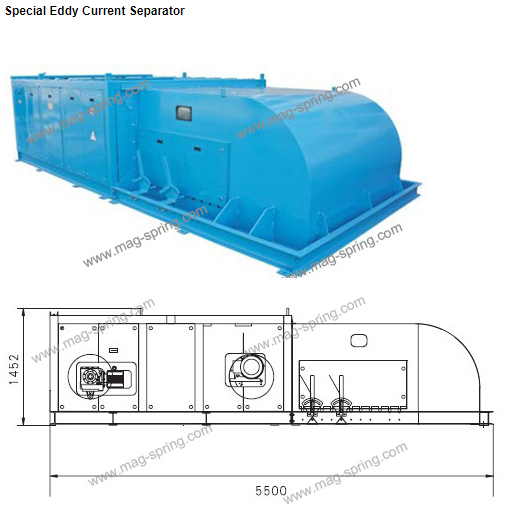 Eddy Current Separators or eddy current separations mainly consist of magnetic pulley, short belt conveyor, drive motor and steel frame,etc. As the most key parts, magnetic pulley is very special magnetic system that can generate alternating magnetic field by its inner strong magnetic element rapidly rotating. Then non ferrous metals produce eddy currents that will eject themselves away from the rest of the materials flow. 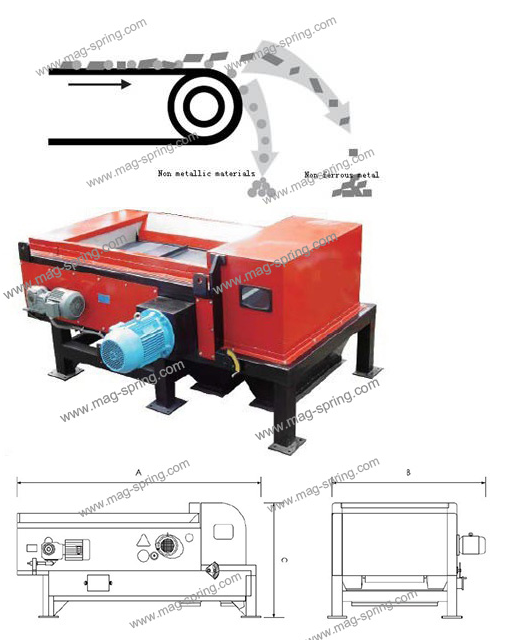 Automatically Separate Non ferrous metal from non metallic materials. Adjustable for different materials to reach highest performance. 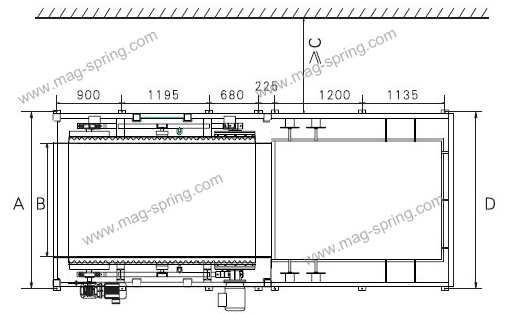 Common and Special series with different belt width available. Good performance when material size is over 4mm and are fed on the belt by Vibrating machine.